In China Pu Erh Tea is considered as a health-elixir, which has a beneficial functioning with several health problems such as aiding weightloss efforts, reduce blood cholesterol. It is also widely believed in Chinese cultures to counteract the unpleasant effects of heavy alcohol consumption. Pu-erh tea is a great fat busting weight loss product. Take a cup of pu erh tea after meal will stimulate your metabolism and fast the burning of body fat, it was called "the king of burning fat". Many clinical test have proven that keep drinking pu erh tea will reduce the blood cholesterol up to 30%, it is the most effective natural product for people who is suffering from high blood pressure, high blood cholesterol and high blood sugar. We recommend you drink pu-erh tea three times a day after meals for three months and watch the weight drop off. After three months, drinking just one cup per day will help maintain your weight loss. To loss weight quickly: Follow above instruction and take one cup of pu erh tea on an empty stomach in the morning. 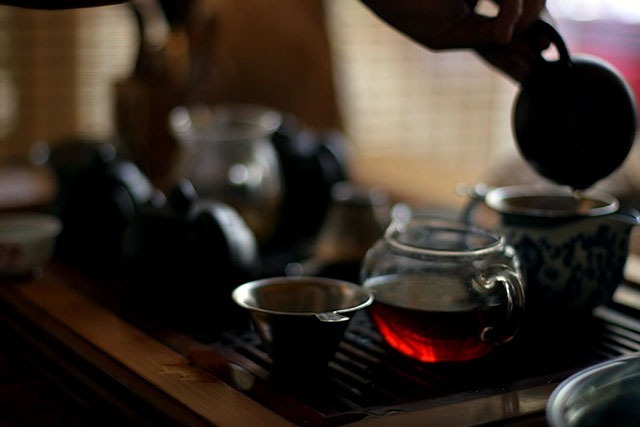 To stop too much fat being absorbed after a feast, drink a cup of pu erh tea within 30 minutes.